This month we start off by discussing the rise of Muslim women in leadership such as US political figures Ilhan Omar and Rashida Tlaib who were recently sworn into Congress. Stance speaks with NPR Journalist and Host of The Stoop podcast Hana Baba to dissect their political rise and impact on younger generations. Recently returned from Sudan, Hana talks to Stance about the ongoing unrest in the country and how in impacts on women. Stance brings some of the key themes to life by hosting a panel with three women from the Arab Diaspora. The panel features actress Sherine Chalhie, Enas Refaei and Roeann Osman and is moderated by Pakistani British journalist, Maha Makhdum. They give their perspective on the evolving role of Women and Islam. Sufism is known as ‘the mystical form of Islam’ that was made famous by poets such as Rumi and believed to have originated around 1500 years ago. Stance explores its origins and how it’s being interpreted today with a new generation of women. Finally, In our Women + Islam feature, Stance speaks to comedy writer Amna Saleem whose essay ‘Shame Shame It Knows Your Name’ is being featured in a highly anticipated collection of essays called Its Not About the Burqa. Out this month, it features eighteen essays by many including Mona Eltahawy and Coco Khan, speaking on topics as wide-ranging as wavering faith, love and divorce, queer identity and Islamophobia. Stance speaks with actor and rapper Paigey Cakey. Born in Hackney, East London, Paigey became known for her fresh bedroom productions and acting debut in the science fiction comedy horror Attack The Block. She since went on to play roles in The Knot and BBC1’s Waterloo Road. She received widespread acclaim with her Red Velvet Mixtape in 2016 and has just released Flavours, a new mixtape. 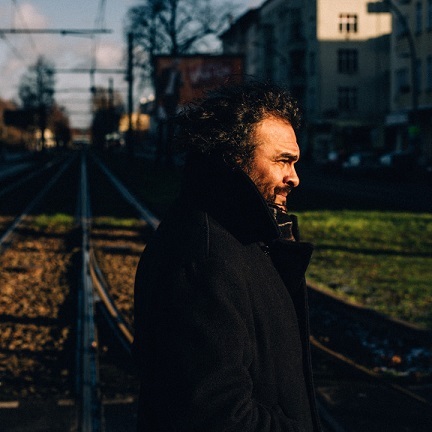 Lastly, Stance heads to Paris to visit artist Kader Attia’s concept space La Colonie. Formerly, a Latino jazz club, where he used to dance salsa and Congolese rumba in the 90s, it has been transformed into a radical art space and haven for young artists and intellectuals in Paris looking to open up the debate and challenge France’s post-racial stance. Attia was born in Paris, and grew up between Parisian suburbs and Algeria. He currently lives and works in Berlin and Algiers, and his multicultural experience guides much of his work.